This book is the true story of a major undercover operation that exposes society's gutter. 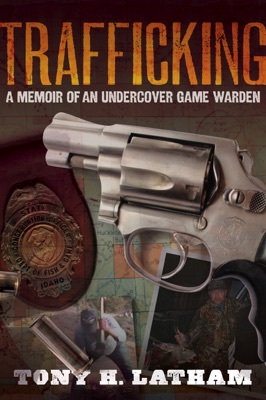 It is full of the suspense, drama, and tension that Latham experienced while assuming the identity of a risk-taking poacher to stop a criminal group trafficking in wildlife. “If you love wildlife then ‘Trafficking’ will be an eye-opening read for you. It's a true story about the tough, and often ugly, job of protecting the wildlife we cherish.” -J.P.
CNN's "Must Read" on the subject of wildlife trafficking. “Home run brother! My only critique is it could have been twice as long and it would still be too short. 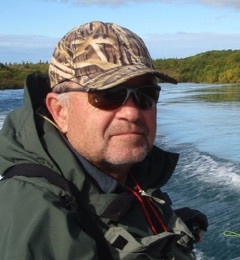 I've read a lot of game warden books, fiction and non-fiction and this is easily among the best.” -M.F. “Tony Latham has a great knack for writing and relaying his true adventures as an undercover wildlife cop. All I can say is "Wow!" and it is amazing that he lived to tell the tale.” -L.Z.